Discovering how we listen. The researchers used 2-Photon imaging in mice to discover how neurons become networked during active listening for sounds. 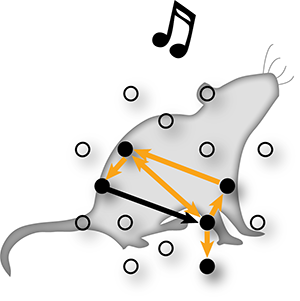 The figure shows that when the mice correctly detected sounds, neurons formed small clusters with strong links.